I am planning a training course on Agile Project Management / ScrumMaster Certification in Chennai (Madras), India early in the new year (hopefully the second half of February). At this point, dates are tentative, but I would love to hear from readers who would be interested. As well, if you know others who would also be interested, please let me know. I will be firming up numbers and dates early in January as well as making the final go/no-go decision at that time. 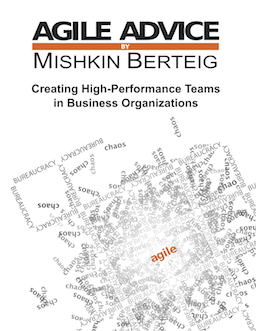 Please contact me either by email (mishkin@berteigconsulting.com) or by phone +1 905 841 1196 if you are interested. Some details about the course: it will be a 3 day course rather than the usual 2-days that is taken by the ScrumMaster Certification. I have not yet finalized a price but it will likely be a small amount lower than my regular ScrumMaster course price (which is CA$1200.00). There is the opportunity for me to run an in-house private class while I am there if your organization can send enough people (contact me for details). I hope that I can meet some of my readers in the new year!